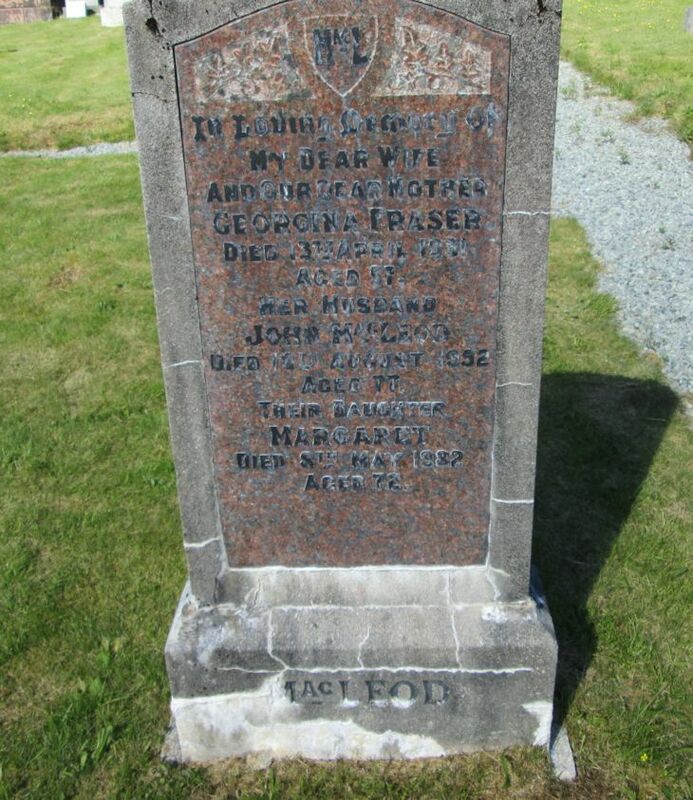 Skye Gravestones | Georgina (Fraser) & John MacLeod, d. Margaret. Georgina (Fraser) & John MacLeod, d. Margaret. In loving memory of/my dear wife/and our dear mother/GEORGINA FRASER/died 13th April 1931/aged 57/her husband/JOHN MacLEOD/died 12th August 1952/aged 77/their daughter/MARGARET/died 8th May 1982/aged 72..